Aloe Vera has been used throughout recorded history to treat a variety of health problems. Its use as a topical application to the skin to reduce the redness and pain associated with burns is well known. Topical application of Aloe Vera has also been shown to be helpful in the treatment of insect bites, abrasions, acne, eczema and other problems associated with the skin. Not as well known are the benefits of Aloe Vera when orally ingested. Aloe Vera has been shown to be effective in treating acid reflux, constipation, irritable bowl syndrome (IBS), colitis, and various other intestinal problems. Aloe appears to be very healing to the lining of the intestinal track. Back in 1985, Dr.Jeffery Bland, published a study entitled, Effect of Orally Consumed Aloe Vera Juice on Gastrointestinal Function in Normal Humans. Dr. Bland reported that all participants in this study who had indigestion, irritable bowel syndrome, colitis, and gastritis, reported symptomatic relief after using Aloe Vera. Many of the benefits associated with Aloe Vera appear to derive from its large content of mucopolysaccharides. Mucopolysaccharides are long chains of two sugar molecules (mannose and glucose in the case of Aloe) bonded together. When two sugars are bonded together they are called a disaccharide. The length of these chains of disaccharides determines their action in the body. Shorter chains have been shown to reduce inflammation as in arthritis and various intestinal problems such as colitis and gastric reflux. Medium chain disaccharides from Aloe appear to function as antioxidants within cells. Longer chain disaccharides from Aloe appear to enhance immune activity in the body. When mucopolysaccharides attach to a protein, they become glycoproteins or proteoglycans. Proteoglycans are components of cartilage and many other body tissues. They provide lubrication to joint tissue which helps prevent inflammation such as seen in arthritis. Some laboratory studies have shown mucopolysaccharides derived from Aloe move foreign proteins such as viruses to macrophages which are able to destroy the foreign agents and protect the body from viral damage. Macrophages are important front line immune cells that protect us from being harmed by pathogenic organisms. Mucopolysaccharides are known to enter cell membranes and increase their flexibility and permeability. This results in the membranes allowing for better flow of nutrients into a cell and better flow of toxins out the cell. This provides for healthier cells which results in healthier tissue throughout the body. As can be seen, Aloe Vera, because of its high content of mucopolysaccharides, can be a very helpful addition to the diet. The wide range of benefits that have been reported by regular users of Aloe is witness to its efficacy in improving overall health and in helping to not only relieve symptoms but to help the body heal. 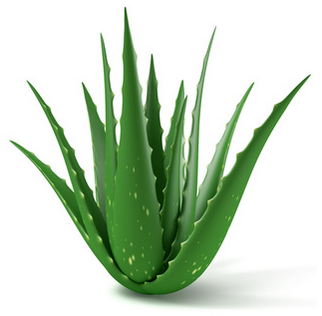 Aloe Vera for topical use is available as a concentrated gel which can be applied directly to the skin. For internal use, Aloe Vera is available as a beverage in the form of Aloe juice or Aloe gel. Aloe gel is the same as Aloe juice except a thickening agent is added to turn the juice into more of a gel. A major difference in Aloe juice products is whole leaf Aloe versus non-whole leaf Aloe. In non-whole leaf Aloe juice, the watery gel from the inner part of the leaves of the plant is removed and processed into a juice. With whole leaf Aloe, the entire leaf (which includes the inner gel) is processed into a juice. This allows for obtaining a much wider range of the nutrients that are present in the Aloe plant. While mucopolysaccharides appear to be the major elements in Aloe that provide health benefits, there have been many additional substances in the plant that have been identified as having efficacy in human health. Many of these substances are found in the leaves. Therefore, it is best to use a whole leaf Aloe juice for internal consumption. There are many brands of Aloe Vera juice in the marketplace. Some are watered down and contain only a small percentage of actually Aloe Vera. Others are processed at high heat resulting in the destruction of important nutrients. We recommend a whole leaf Aloe Vera juice from a company called Pharm-Aloe. Their juice is 99.7% organic Aloe Vera leaf juice. They utilize the entire plant in making their product. They make their product using cold processing and add no water. What you get is the pure juice of the Aloe plant.